More info will come under "puppyinfo"
Jotka is a strong quite big female who loves to run and works really hard in the harness.She is very friendly and loves to be cuddled. She has been very successful in long distance races. She is easy to handle and she gets very well along with other dogs and she loves people. She moves very well, has excellent pigmentation, excellent coat, excellent paws and she has never been ill. She works as either lead dog or wheel dog and she keeps a good speed and is commando responsive. Frej is a wonderful guy with great personality. A never-ending engine with huge will and big heart, a real fighter who never gives up. Patient, obstinate, busy, stubborn (in a positive way), kind and calm.He loves children, is safe and has a stable psyche. Mentaltestad with very good results. He lives together with his "brother" Bielkersmils Igor. They are inseparable and the world's best friends. Frej has been and has been very successful at competitions as well as in the show ring. 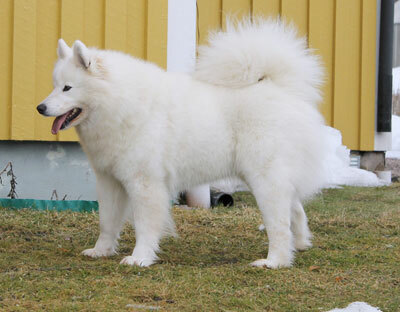 Before he was 3 years old he became Swedish show champion with PDP.and today he is also a Swedish Polardog champion. 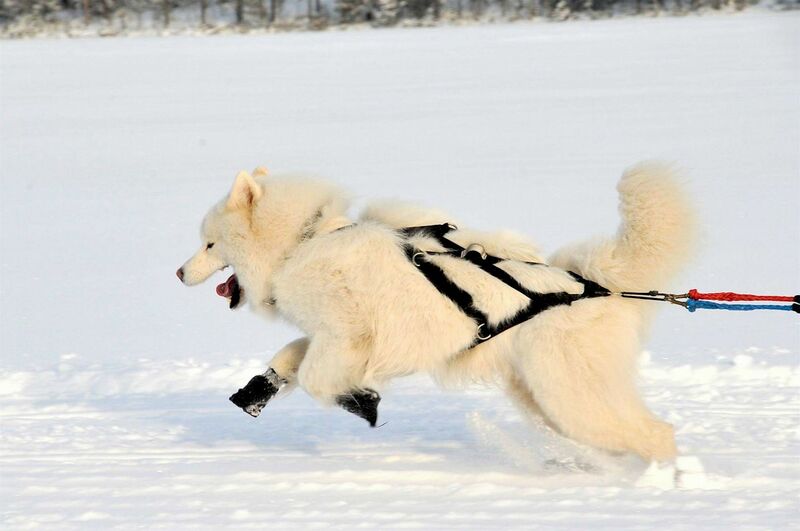 In a team, he works both as a wheeldog and in lead. He is very strong and commando responsive and always works wit excellent focus. 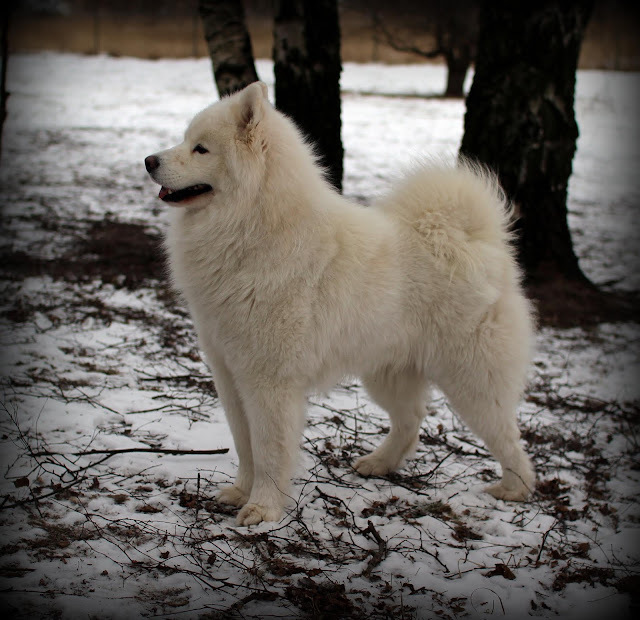 He moves very well, has excellent coat , good paws and ears. He loves all people and is very keen.